Michael Walker, former executive director of the Fraser Institute, long denied that institute directors—the people who fund the institute’s work—can tell researchers what to do. 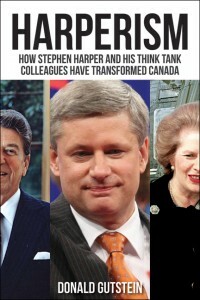 According to this rosy view of the think tank’s mission, Big Oil directors from Calgary, for instance, don’t tell Fraser Institute researcher Kenneth Green to produce studies denying global warming or proving that the Keystone and Northern Gateway pipelines are crucial for Canada’s economic survival. Green does these on his own because that’s what his research indicates. Or so one would conclude from Walker’s denials. We’d have to believe Walker’s claim if we didn’t have the Tobacco Papers—a series of letters Walker and his chief fundraiser wrote to a big tobacco company in 2000 asking for financial support for research that would “prove” second-hand smoke didn’t cause cancer. This rare glimpse into the role of corporate funding in shaping Fraser Institute research was obtained as a result of the 1998 Master Settlement Agreement between 46 U.S. state attorneys general and Big Tobacco. A condition of the agreement was that the tobacco companies had to make public and post on dedicated websites, (see here and here) every document used in the discovery phase of legal actions brought by the states against the tobacco industry for Medicaid costs associated with smoking-related diseases. With this funding, the Fraser published a book by two tobacco industry lobbyists titled Passive Smoke: The EPA’s Betrayal of Science and Policy, and held two day-long conferences in Ottawa. This package of initiatives was timed to coincide with bylaws being enacted by municipalities across the country to regulate smoking in public places. Such a bylaw had just come into effect in Victoria. Big Tobacco was in a panic. Fraser Institute to the rescue. The Fraser’s book argued that these bylaws were ill-considered because the link between second-hand smoke and lung cancer had not been proven. (Not true.) The book attacked the landmark 1993 decision of the U.S. Environmental Protection Agency that declared second-hand smoke to be a carcinogen. It was followed by the two conferences, which worked in tandem, the first attacking the need for regulation at all and the second attacking regulation of smoking. Neither the book nor the conferences mentioned tobacco industry funding. At the end of 1999, Rothman’s was bought by British American Tobacco (BAT), and the Fraser Institute lost this funding. It commenced a campaign to replace, and add to, the money. Writing to BAT’s chairman Martin Broughton, Sherry Stein asked him to take over Rothman’s funding commitment and consider a new initiative for a risk and regulation centre. She asked for $50,000 a year for each centre. BAT funding for this new centre would help the Fraser “provide the factual information that will seriously counter the risk activists and their misleading and misguided propaganda,” Stein wrote. Then Michael Walker reiterated these requests in his pitch to Payne. Walker focused on the new Centre for Studies in Risk and Regulation. He railed against the “agitators for a ‘zero-risk’ society [who] have become increasingly successful in advancing their cause, often basing their case on exaggerated junk science scares.” The targets of these nasty agitators were pollution, second-hand smoke, pesticides and genetically modified foods. With BAT financial assistance, the Fraser Institute would set the record straight. Later in the year, Stein presented three proposals for BAT’s support. It could contribute: $30,000 for the launch of the centre, featuring guest speaker John Stossel, a well-known television personality and anti-regulation zealot; $42,000 to distribute an anti-regulation book called Safe Enough? ; and/or $48,000 for a project that would show regulation was too costly to be effective. The letters from Stein and Walker don’t indicate which, if any, of these projects BAT did support, but they all took place. The letters also don’t indicate that Brian Levitt, the CEO of Imasco, BAT’s Canadian subsidiary, was a Fraser Institute director during this period. Too bad there’s not similar transparency for the Fraser Institute’s work on school choice or privatized health care or any of the dozen other issues the institute beavers away at to prove the market always does better than government. Its 2012 budget was $10 million. Where does this money come from? The institute won’t say. There’s something seriously wrong—corrupt?—when an organization wraps its efforts to influence public policy in the deepest secrecy. ← Follow the Money, Part 4 — Who Owns the National Post?